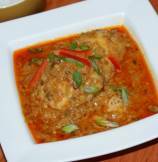 Sharing with you Indian Curry Recipe - Murg Dahiwala which is as close to my heart as childhood. 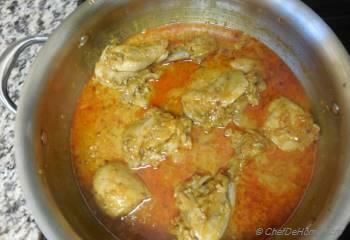 Had lots of Chicken or Hen cooked in yogurt-curry sauce back home for years and loved it every time. 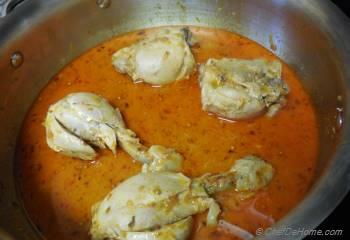 We used to cook a big pot of chicken curry and often enjoyed leftovers more than main dinner. 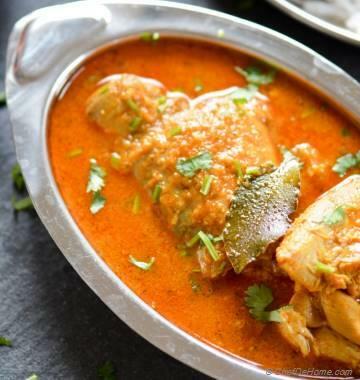 This delicious aromatic, mild spicy curry with velvety sauce tastes even better when a day old. Indian yogurt (also called Curd or Dahi) is not thick and creamy like yogurt we get in States. It is little runny, lean and tart in taste. In India, restaurant chefs will generally hang yogurt tied in muslin cloth to drain extra water to make thicker sauces, pretty much like Greek Yogurt. However, at home, I always saw plain runny yogurt added straight to the curries and it tasted delicious and creamy every time. 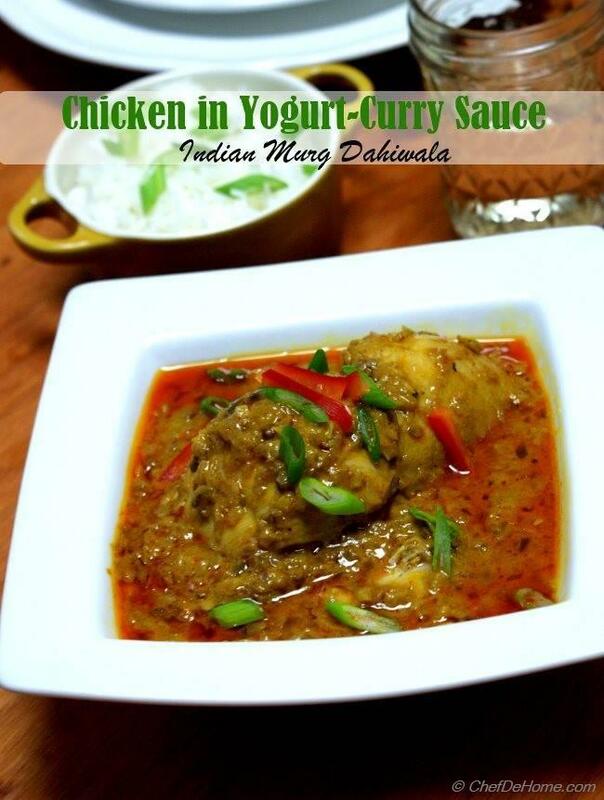 Yogurt can curdle the sauce if not dealt properly while using in curries. I share with you one trick that I have learnt over the course of my cooking career. Avoiding sharp temperature difference between yogurt and cooking curry and stirring continuously while adding yogurt to curry can help you avoid curdle accidents very easily. So keep yogurt at kitchen counter while you cook curry. Yogurt gives nice thick and creamy texture to the curry and a gentle tangy taste. 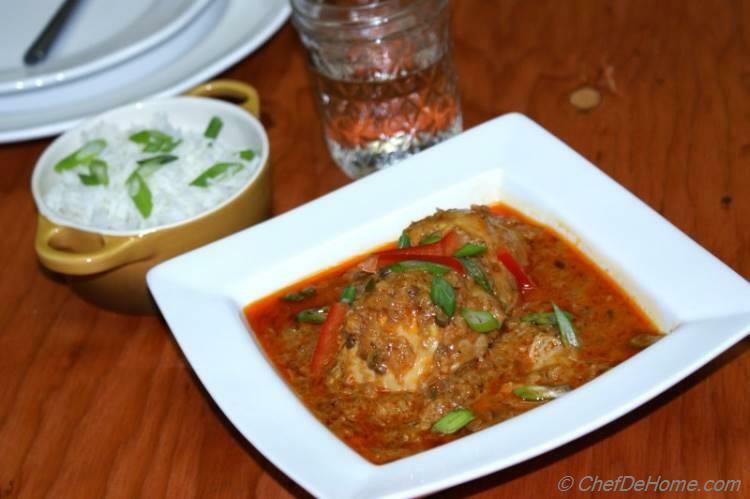 Murg Dahiwala (chicken in yogurt sauce) tastes delicious accompanied with steamed basmati rice or tandoori naan. 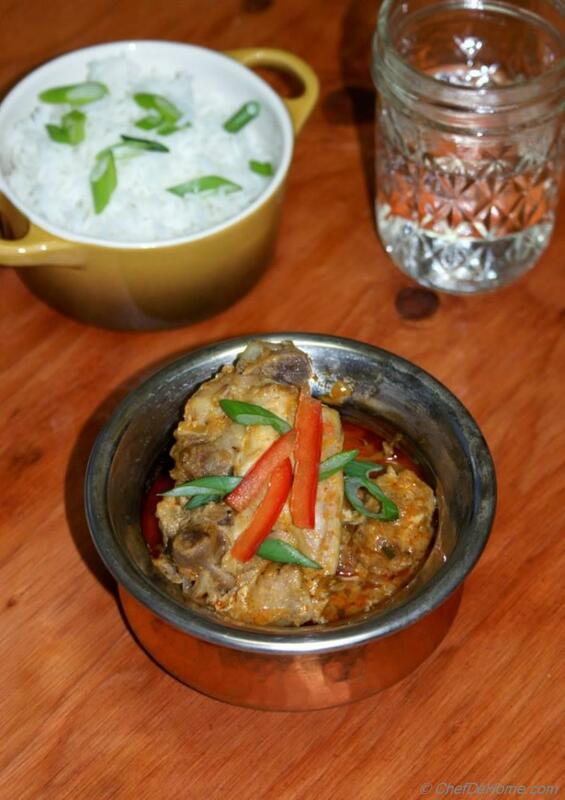 You can also make Murg Dahiwala with leftover pre-cooked chicken like rotisserie chicken. If doing so, skip the step 1 and use 2 cups of low-sodium chicken stock instead of cooking liquid for the recipe. 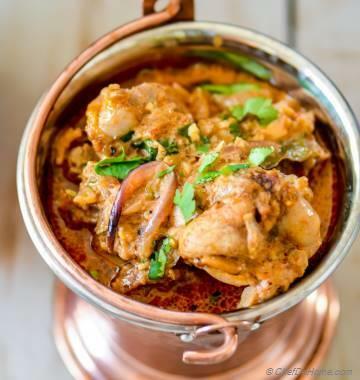 Serve it family style with big bowl of chicken curry, roti and rice on the side, some cooling cucumber raita and drink of your choice and enjoy!! 1. Boil chicken with 3 cups of water, 2 bay leaf and 1/ tsp salt for 15 minutes, until chicken is almost cooked and cooking water has nice chicken flavor. Remove chicken from broth and keep both (chicken and broth) aside for later use. To save time, while chicken is boiling complete step 2, 3 and start with 4. 2. 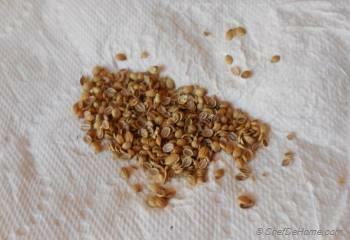 Crush coriander seeds with back of a spatula or rolling stick and keep aside. Also remove yogurt (dahi or curd) from refrigerator and keep aside on kitchen counter to get to room temperature. 3. 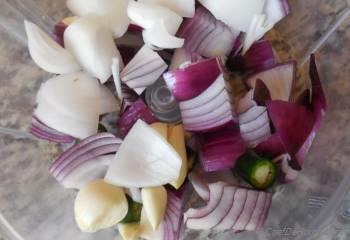 Process onion, 3 garlic cloves, green pepper in food processor until fine grated. 4. 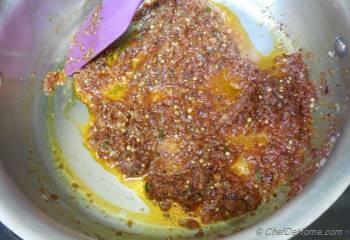 In a pan, heat oil and add remaining 3 sliced fine sliced garlic and saute till light brown in color. 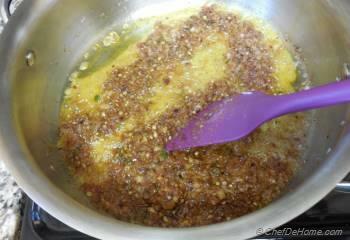 Add crushed coriander seeds and grated ginger and saute for 1 more minute. 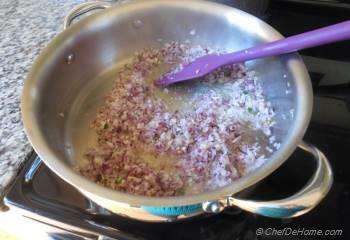 Now add grated onion mixture and saute for 10 minutes or until water for onion dries out. 5. When oil starts to separate from onion, add turmeric, red pepper powder, garam masala and continue saute for 2-3 more minutes. 6. 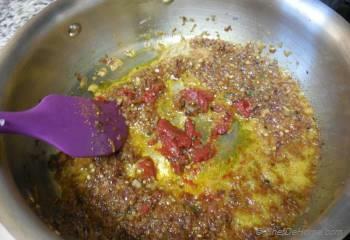 Now add tomato paste and mix in with the onion mixture. 7. Saute for 2 minutes and then switch off heat. 8. 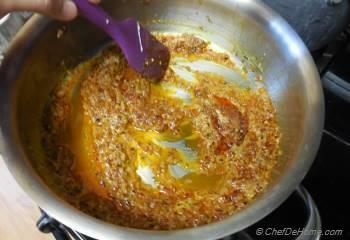 Add yogurt (room temperature) to the onion curry mixture while stirring continuously so that yogurt does not curdle. Switch on the heat to medium low, add 1/2 tsp salt and continue stirring for 2-3 minutes or until yogurt is well blended in the curry and mixture is thick and silky. 9. 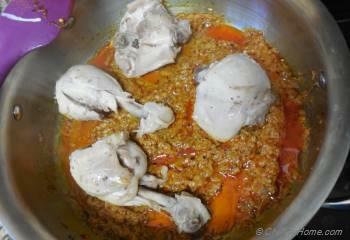 Now add chicken to the mix and mix to coat the chicken pieces nicely. 10. 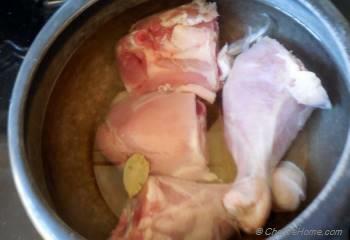 Add 2 cups of chicken broth (made in step 1), bring to boil and reduce heat to medium low. 11. Simmer until chicken is fully cooked and gravy has reduced per your liking. (about 5-6 minutes if you want to enjoy it with rice, I mean little more gravy or 10 minutes for thick dry sort of gravy to eat with naan or roti.) Just before serving, garnish with sliced scallions. Please forgive me. That should have read ‘has been invaluable’. At my age this small grey writing is hard to see on an iPad. Hi Carol, don't worry. Please, no need to be sorry. I understand the gesture. The words are always messed up by auto corrects of all phones. You won't believe how many times I have to re-read my post drafts. :) Thanks for being so considerate. I hope you enjoy my recipes when you get chance to try. Have a good weekend. Thank you so much. I really appreciate your willingness to answer my queries and the helpful replies. It’ s often impossible to work out what to substitute when trying recipes from other countries so your help hasn’t been invaluable. HI Savita, I have a question about the ‘red pepper powder’. 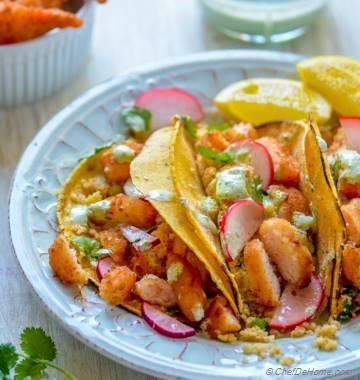 Aussie substitutions guides say to use either cayenne or dried chilli, but as each gives a different result I was wondering if you could tell me whether the red pepper powder is to add heat or is it just there to add a bit of zing to the taste? Hi Carol, it is definitely to give some zing and a bit color as well. Usually 1/2 tsp is fine because yogurt balances everything. Still I recommend adding 1/4 tsp if it you don't like heat. Oh, and Cayenne will be good for the job. I hope it helps.